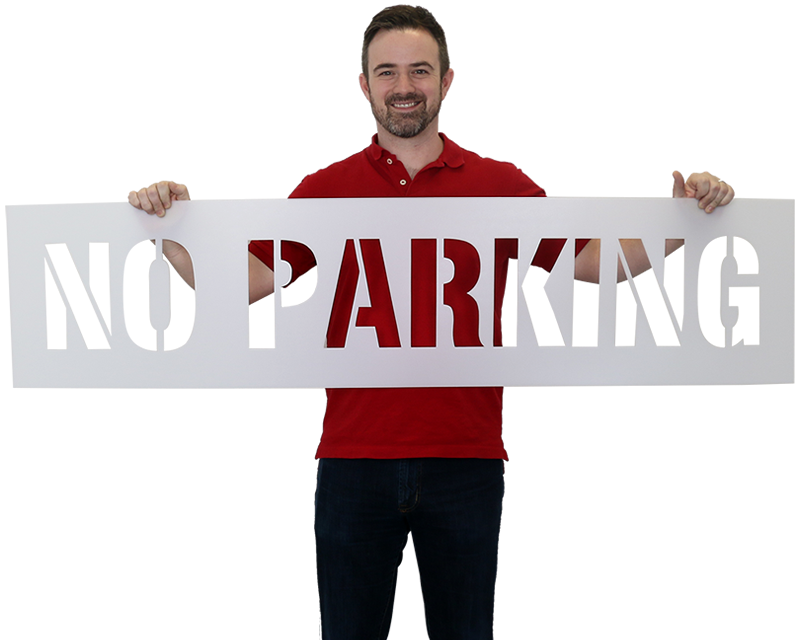 Order no parking stencils so drivers won't miss your message. 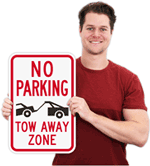 Signs can clutter your parking lot. 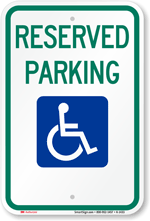 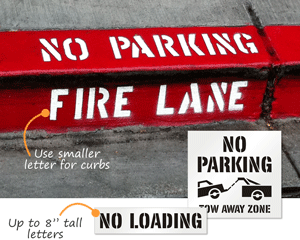 Use a few stencils to mark fire lanes, loading zones, and reserved spaces. 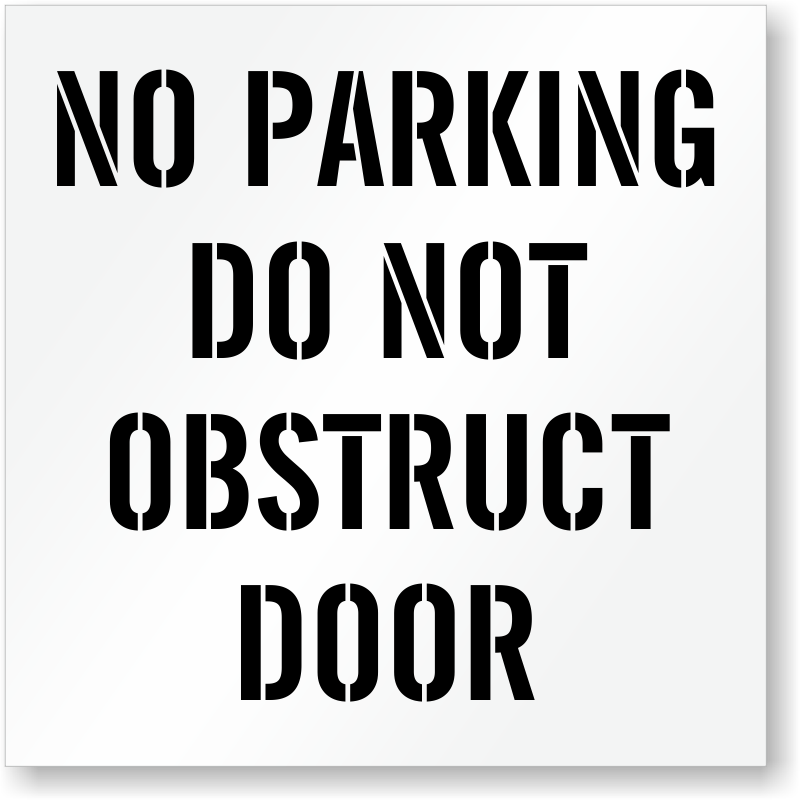 • Available in several sizes. Try smaller letters for curbs. 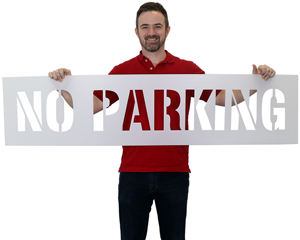 • Use our stencil ink and spray over surface of the stencil. 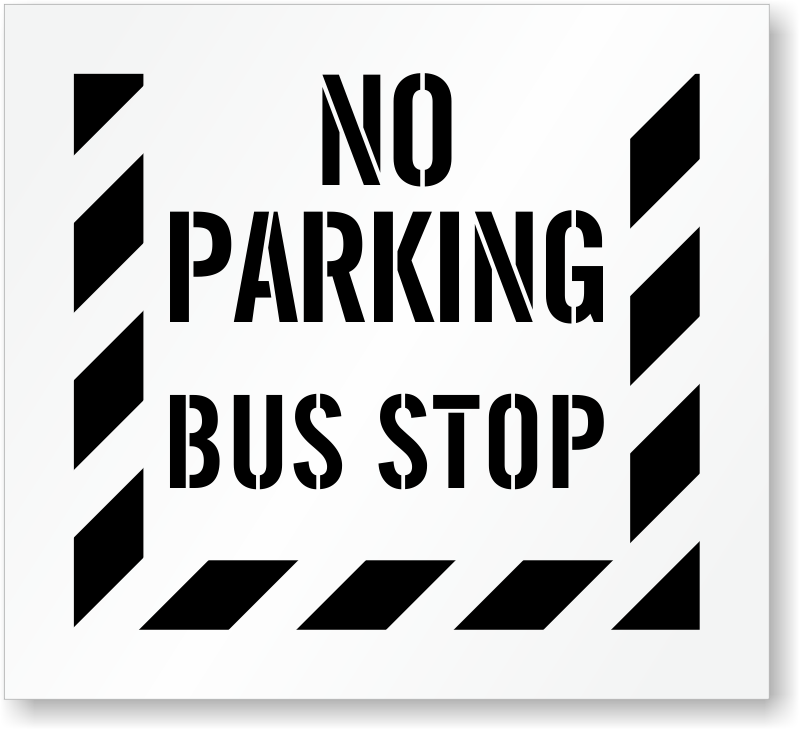 • Simple, affordable, and reusable, with clean graphics. 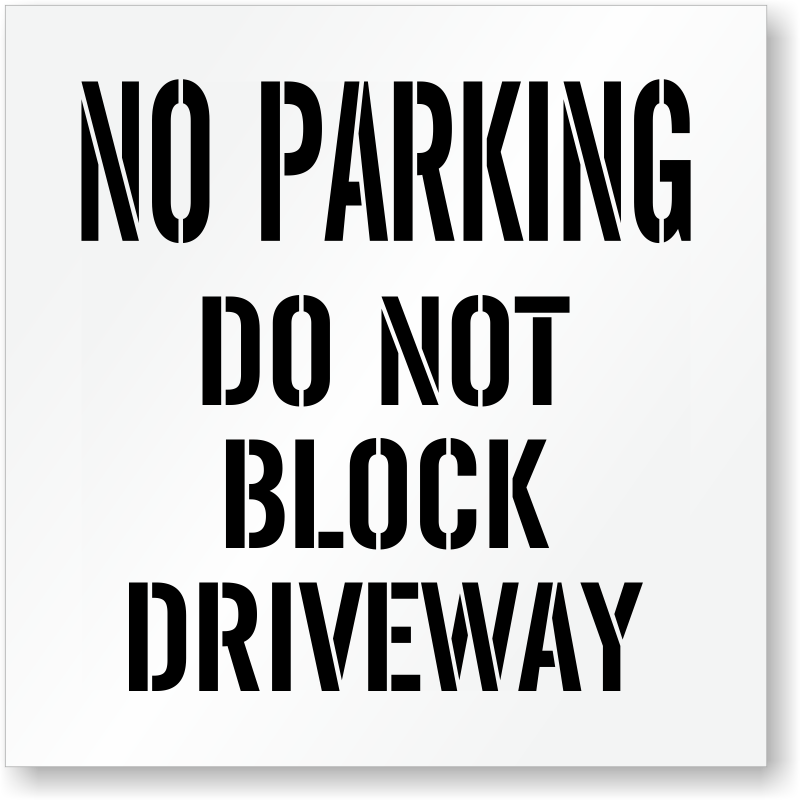 Don't Even Think About Parking Here!